Seasonnaire life is a good way of meeting new people, having great experiences and an easy way to travel at minimal cost. Many seasonnaires get caught in the cycle, winter season to summer season, then winter again, which isn’t a bad way to live. Season living has its positives and negatives, some people love seasons, others leave early. It may look all glitz and glam, snow skiing everyday or all day in the sun, my season jobs were some of the hardest jobs I have ever done. Travel – Season jobs usually take place abroad, which offers employees the opportunity to live in another country and culture. Many companies also pay for employees to travel to their destination, which for many people is an inexpensive way to travel. Season jobs have beautiful locations, in the mountains, by the beaches and sometimes on islands, which creates an amazing home for a given length of time. With season jobs employees usually spend a long period of time in the same place (unless you are lucky enough to get a job where you travel from resort to resort) which isn’t for everyone. 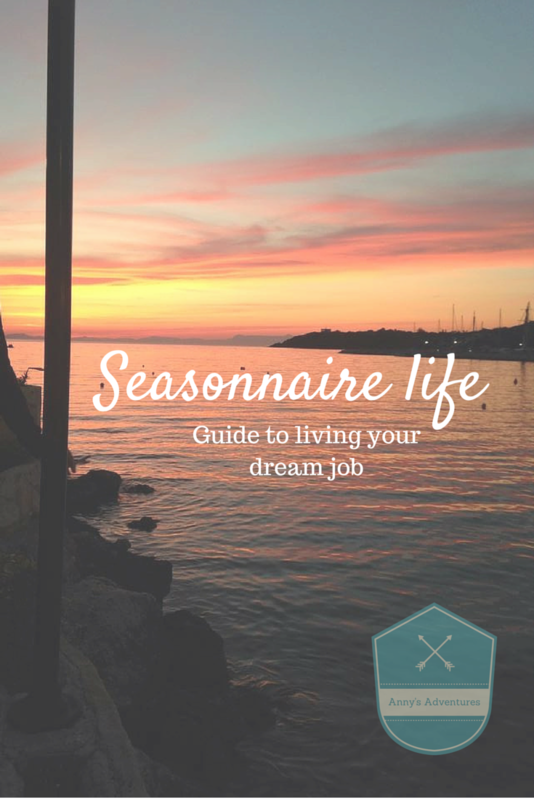 Work – Seasonnaire work is fun, there are a large number of jobs which an employee can do from; waiter, chef, nanny, sailing instructor, boat driver to chalet host, or snowboard instructor. For many people these are their dream jobs, getting to teach people to water ski or snow ski all day to becoming a chef at a luxury chalet. In reality season jobs can be very hard work, entertaining guests, excellent customer service, long hours, 6 days a week, providing evening entertainment or aiding guests with their problems. Accommodation – Most season jobs offer employees accommodation, which again helps for travelling and not spending any money. This can be both a good and bad thing, some companies I have worked for had outstanding accommodation and others not so great, just depends on the area around the resort. Although this is true between working, socialising and having fun you barely spend anytime in your accommodation. People – With any job or travelling experience the people make or break the experience, obviously not everyones going to get along with everyone, but on seasons you can be working with between 2 to 70 people, its not often that you find someone who doesn’t get along with anyone. Parties – Seasonnaires defiantly know how to party, whether its drinking after a presentation night or apres, socialising is a major part of every season, after all the quickest way to make friends is to have a few drinks. This being said partying isn’t for everyone and there is plenty of people on seasons who don’t go out at all. Hopefully this blog post gave you a little bit more information about what its like to work in a seasonnaire job. If you are even considering doing a season you should just go for it, you have nothing to lose.